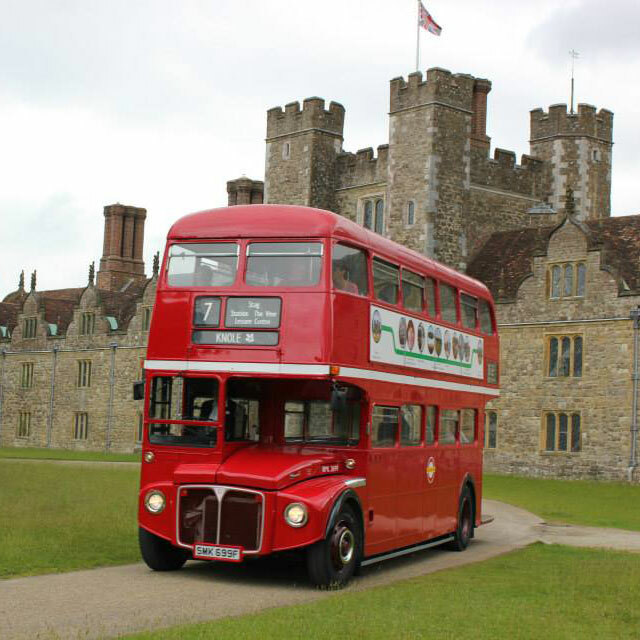 We really enjoy being a part of people’s special days, so for something really different why not hire one of our traditional, fully refurbished Routemaster buses? Getting married? Our Routemasters look just fabulous dressed up in ribbons. We also have a fully restored traditional "sherbert dab" London taxi which is perfect for the bride and groom if you have that special London connection. We also have two vintage Maltese buses which are available for display purposes only. 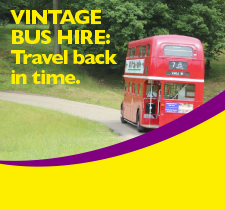 Want to know more about how our vintage buses can help you make your special occasion just that little bit more special? Call us now on 01732 469800 or Contact us here and we'll get straight back to you. TW10 / TW11... Due to an accident, the buses are waiting for the road to open. We apologise for any inconvenience. Route 235. This bus will be running late this morning. We apologies for any inconvenience. Route TW4. Due to operational difficulties, the bus is likely to be delayed this morning. We apologise for any inconvenience. Good Morning. Happy Easter! 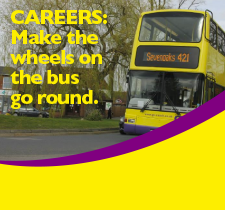 Today and tomorrow route 429 operates a Sunday timetable only. From Tuesday we revert to school day operations. Please check before you travel as some services may have changed. Route 429. 17.45 from west kingsdown will be delayed due to traffic. Dart 1 & 2. The 1450 service will not operate owing to severe traffic. We will run a Dart 1 as close to 1450 as possible. Route 431. Due to an accident, we are unable to serve Green Street Green. 435... The 14.45 Ryewood to Tonbridge will Not run due to late running. We apologise for any inconvenience. Easter Weekend. 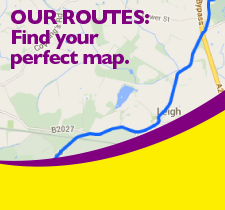 Friday 19th, Sunday 21st & Monday 22nd we will operate a Sunday Operation (Route 429). Saturday 20th will be a regular Saturday Service. School Timetables start on Tuesday 23rd April. Sevenoaks All Routes... Delayed owing to multiple roadworks in the area. We apologise for any inconvenience. Service update, due to the closure of the Dartford Tunnels, services in Dartford & Swanley are likely to be heavily delayed and maybe subject to short notice cancellations. Route 6. The 1255 from Sevenoaks & the 1325 from Kemsing will not serve Greatness owing to parked vehicles. Route 208. We're almost back to normal now. The bus will fit back in at Tonbridge Station at 1052 and run back to East Peckham. We apologise for the delay. Route 208. The 0930 from East Peckham has been delayed owing to a mechanical problem. A replacement vehicle is on its way.